You can get Ford V4/V6 (I think that's the size he uses) oil filler caps, with or without vent, from Burton Power or on eBay. The V4 breather pipes are 1/2", I would just drill and tap for 1/2" hose barbs with 3/8 BSP thread, which you can get from B&Q or on eBay. You could use 1/2" BSP threaded hose barbs but they're a bit bulky. There are also rubber and plastic breather fittings on the market that are pushed in the hole like grommets. Thanks melle I'll see what I can find and do as you suggest. 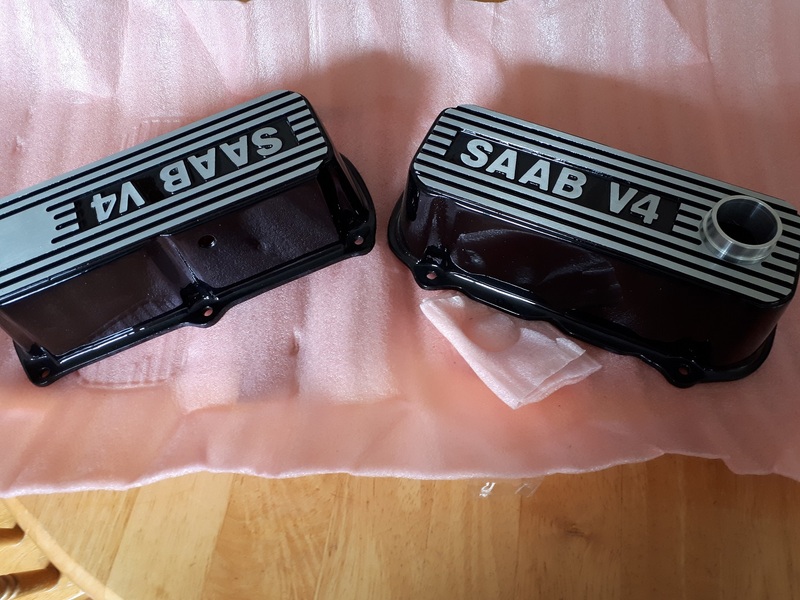 I've got these rocker covers on my V4. JR Castings in Ireland, right? I'll send you a photo of my breather system, when I get home tonight. Thanks Andy that would be useful. Yes got them from JR castings on your suggestion! Here's some photos of my ventilation and breather system. Ah brilliant thanks Andy just want I needed. Found a bsp stand pipe connector today that screwed straight in and have ordered a breather cap so just need a filter now. Comment - When I had my 96 I bought a replacement Ford oil filler cap and it didn't fit. 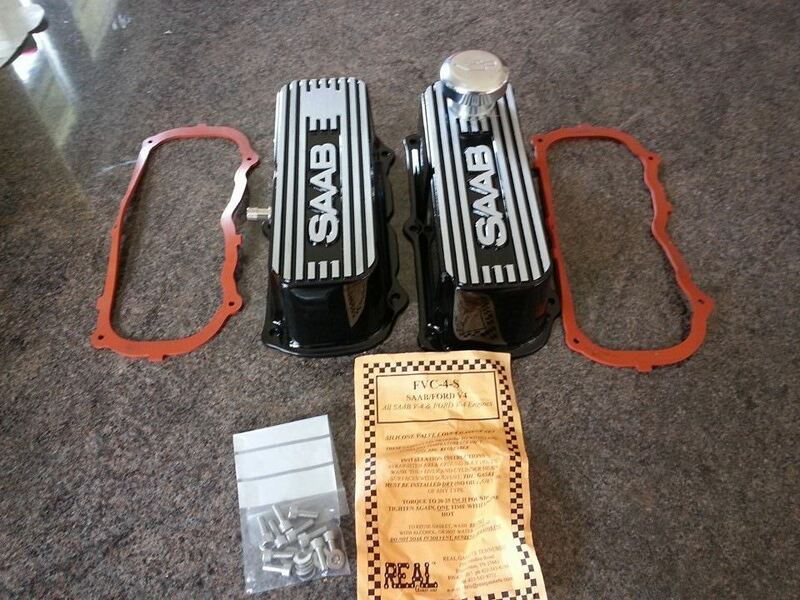 It appeared that the basic UK Ford type is a different size to the ones used on the Saab V4. Confirmation needed but I'm guessing that these cast covers use the UK Ford size. Easily available so a good choice. I can't exactly remember where I got the breather cap from. Might have been Burtons. Might have been E bay. Got my cap from Burton's, arrived today a shiny one and it fits!! Geoff, what did you order please? I will need one and you having done the research will save me having to. Burtonpower.com search for oil filler cap with breather. Fits Cologne Ford's, I went a bit mad and bought the alloy one, thought it would look better on the cast covers! There is a much more reasonably priced one though, your choice. Thanks to all. They certainly look the part!